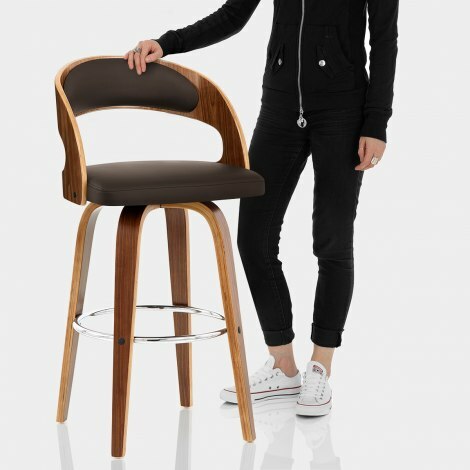 The Alicia Walnut Bar Stool Brown invites you to sit back in sumptuous comfort. Marking itself out as a decadent addition to any kind of bar area, the Alicia blends natural materials with modern style and is completed by a number of clever components. 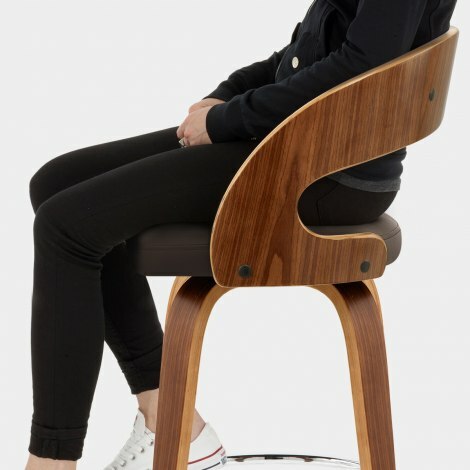 The immersive seat blends a bentwood frame and walnut finish with faux leather seat and backrest pads, cushioning and cosseting your frame while retaining fruitful, rustic charm. Meanwhile, four wooden legs are united by a central footrest bar, which creates an appealing focal point towards the lower end of the stool. Anti-scratch plugs are effective in minimising scuffing to your surfaces, and these cement the lasting appeal of this lovely stool. 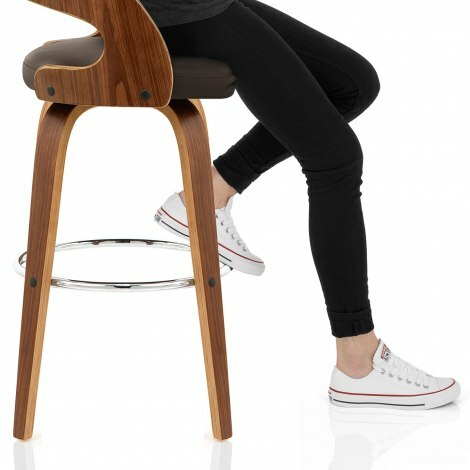 "Easy to put together, very comfortable and stylish"
I was impressed with the variety of bar stools on your website. I opted for this one as it looked comfortable & stylish - both of which it is!!! The delivery was exceptionally quick. I would recommend you to my friends (after being recommended to your website but a friend of mine).